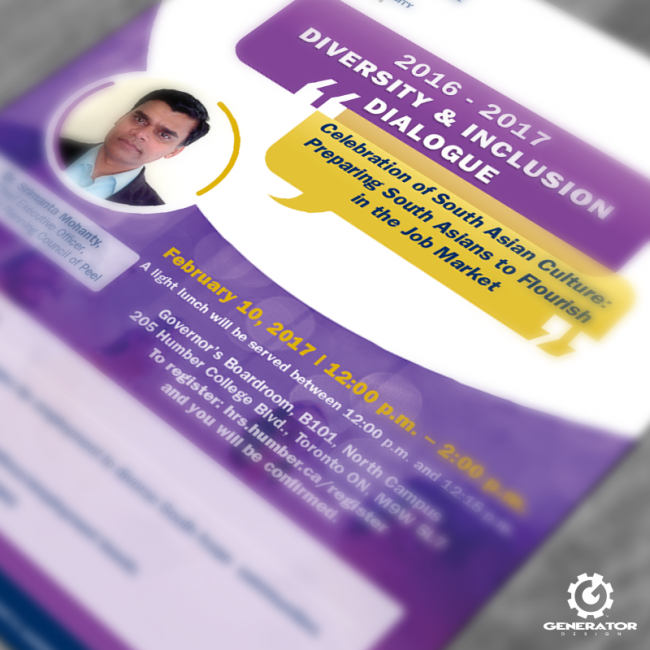 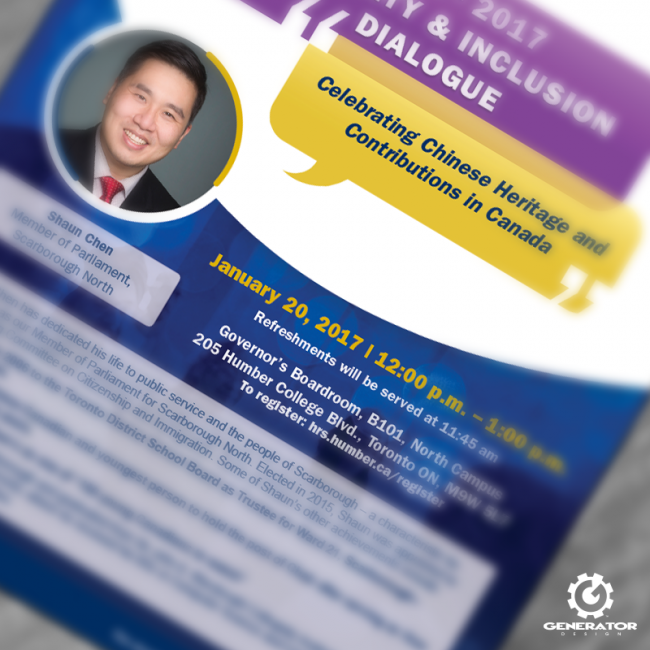 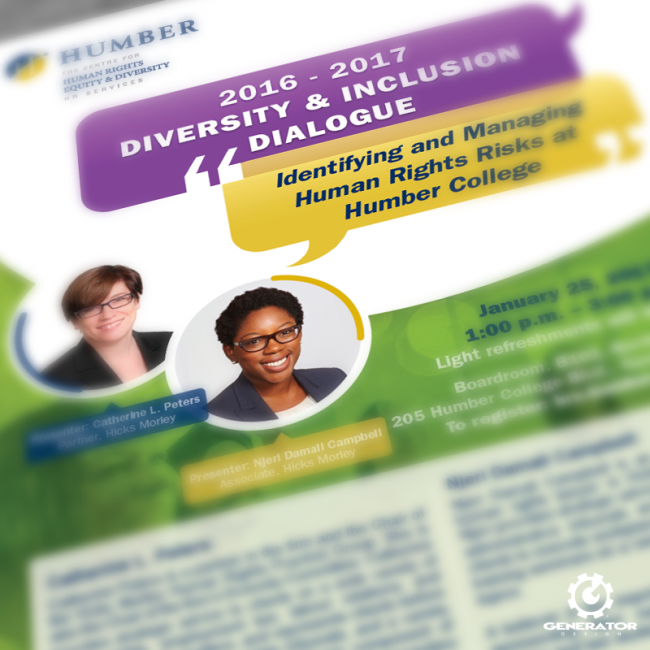 Humber College required flyers to promote guest speaker events on the topic of diversity and equality, hosted by The Centre for Human Rights Equity & Diversity HR Services. 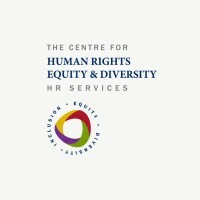 We envisioned and designed a bright, colourful campaign to convey diversity, reinforcing the message with overlapping shapes to illustrate intersectionality. 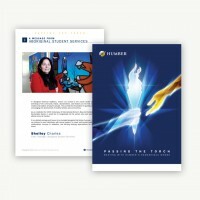 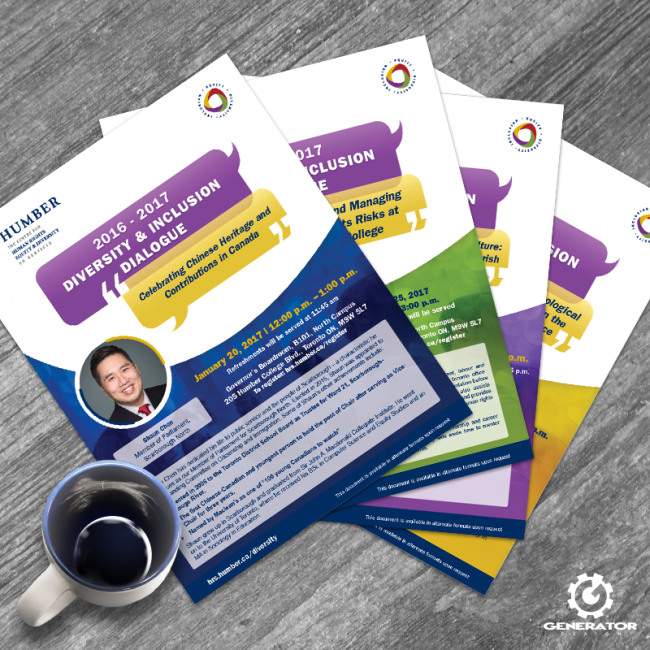 Each flyer was designed at 8.5″x11″ and printed on 100 lb gloss to enhance the vibrant graphics.